What is Harbor Freight Fellows? Big Picture Learning, with support from Harbor Freight Tools for Schools, has designed a new form of apprenticeships for youths and young adults who show significant potential and passion for the traditional and contemporary trades. 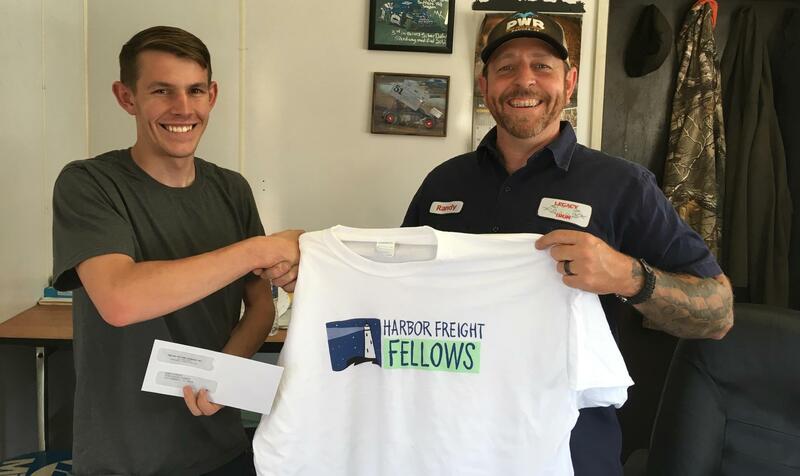 Harbor Freight Fellows provides deep and sustaining relationships with expert mentors and access to communities of practice in their area of passion. We support apprenticing experiences with professional trades persons at their businesses. A Boston International Film Festival 2019 Selection! Meet Seymour and Sylvie – two youths who grow up loving the New Orleans’ harbor – its big ships, the sounds of the water, and the endless potential that lay ahead of them. As Seymour and Sylvie grow up, they learn about and opt for two different pathways through learning and life. Neither better – just different! Follow their two paths – and see how they lead them back to the place they grew up together. Navigating Our Way – presented by Big Picture Learning (bigpicture.org) and FableVision (fablevision.com) and narrated by Wendell Pierce. More about Navigating Our Way HERE.